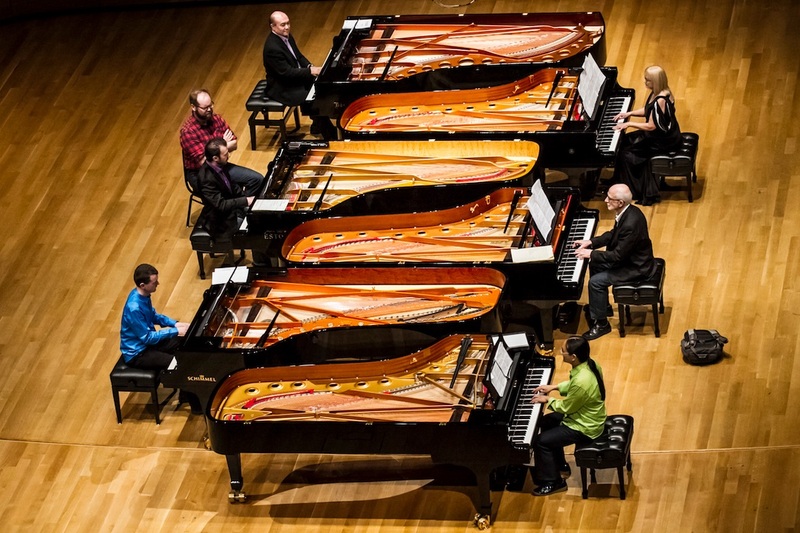 Details: The musical spectacle that is Six Pianos opens Soundstreams’ 36th season at Koerner Hall. Showcasing a rich and varied contemporary repertoire for multiple pianos, exemplified by Steve Reich’s seminal work. There’s also a world premiere for multiple pianos from Canadian composer André Ristic, alongside works from Cage, Lutosławski, Alexina Louie and Colin McPhee. The performance features a who’s who of pianists/percussionists including Russell Hartenberger, Greg Oh, Stephanie Chua, Ryan Scott and Midori Koga.